A quiet revolution has taken place on Israel’s longest borders over the past year, with much of the perimeters with Egypt and Jordan being guarded by male and female soldiers from light infantry battalions. Over half of the battalions feature both men and women, and a new plan will see four mixed-gender battalions stationed along the borders within 12 months. The new deployment, which Israel Defense Forces Chief of Staff Lt. Gen. Gadi Eisenkot decided shortly after he took office in early 2015, stems from a number of situations. Despite the destabilization in neighboring countries that requires that these borders be guarded, they are not the army’s highest priority. Eisenkot wants prime combat forces (infantry, the Armored Corps, Engineering Corps, artillery and Special Forces) to train more in preparation for greater challenges, like a possible war in Lebanon or the Gaza Strip, and to close some of the gaps created during years when training was reduced. At the same time, during periods of tension in Gaza and lone-wolf terror attacks in the West Bank, Eisenkot had to assign these key forces to those sectors for longer periods, and training suffered. Legal constraints also limit the calling up of reserves for everyday security duties to once every three years, otherwise allowing call-ups only for training. Cutting service for men from three years to 32 months has also limited the human resources at the army’s disposal, particularly for border security. This situation led Eisenkot’s predecessor, Benny Gantz, to tailor the training of divisions and brigades to the scenarios they could face in wartime. Gantz ordered a small number of divisions to undergo more extensive training, in order to prepare them for possible wars against Hezbollah and Hamas. Other units train less, with the understanding that they won’t be the first on the front line in case of limited action. Eisenkot’s deployment of the mixed battalions on the border complements Gantz’s work. The chief of staff would probably prefer not to deploy his key units for policing the West Bank. The number of troops there is much smaller than it was at the height of the second intifada, but it is still a major task. And considering the instability in the area, a cutback in the number of battalions is unlikely. 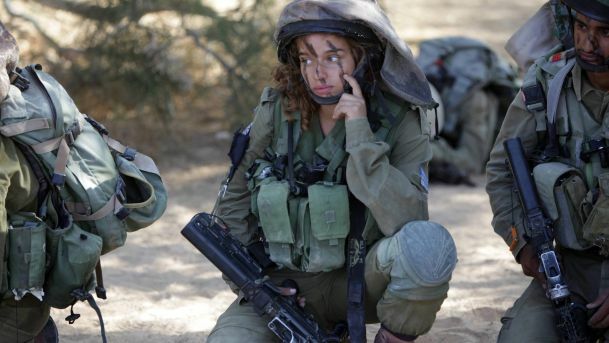 The solution the army found to its predicament was to expand the number of female combat troops – a decision that dovetailed with growing acceptance in Israeli society over the past decade of more combat functions being open to women. 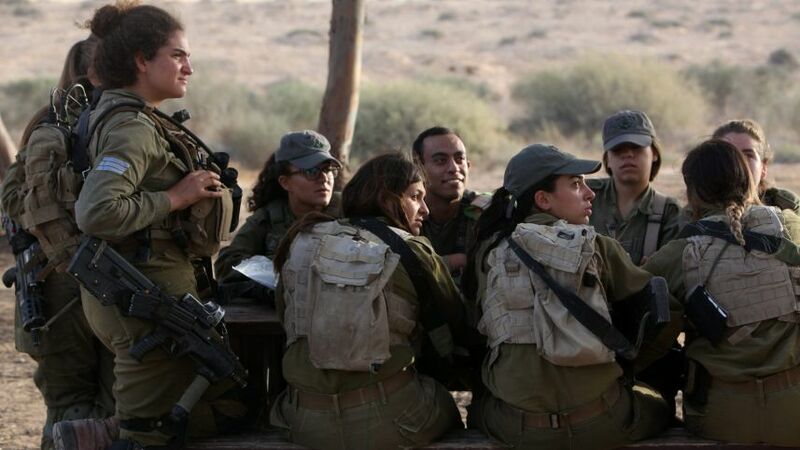 Of the current cohort of women serving in the IDF, about 7 percent are in combat positions, as opposed to 3 percent four years ago. The figure is set to rise to 8 percent next year. The first mixed infantry battalion, Caracal, began as a single company 16 years ago; Caracal is permanently stationed on the Egyptian border. Two other battalions were added in the past three years. Together with the fourth battalion to be established next year, these three battalions will concentrate on the Jordanian border, the Jordan Valley and the Arava area. 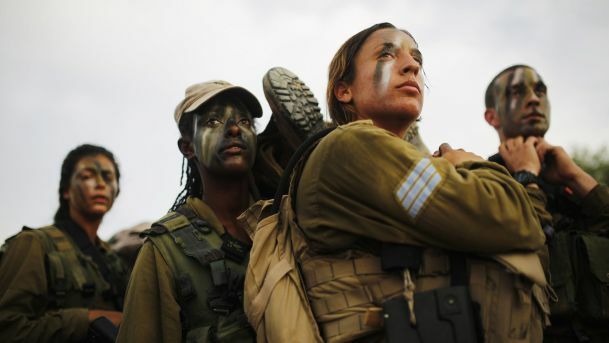 Although the IDF General Staff and Manpower Directorate are giving high priority to the successful inclusion of women in these forces, there are tensions – first and foremost regarding the religious sensibilities of male Orthodox soldiers. That manifested itself last month with a new General Staff order regarding mixed-gender service. 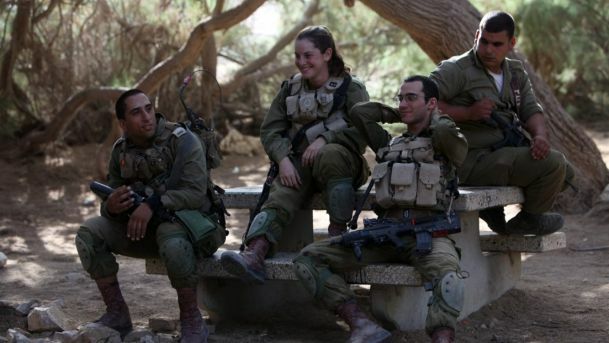 But at least in the mixed-gender infantry units, Haredi soldiers who consider such service a problem do not apply for it, so there, at least, tensions are low. About half to two-thirds of the soldiers in the mixed battalions are women, who, like the men, serve 32 months. They all undergo seven months of training, like the regular infantry. However, the demands on women during training are more gradual than on the men, and there is a gap in physical expectations at the end of training. A male infantry soldier is required to be able to carry 40 percent of his weight for 30 kilometers (about 18 miles), while for a woman the requirement is 20 percent for 10 kilometers. Over the years, research has shown that women experienced more medical problems – such as back problems and infections – than men, leading the Medical Corps to reduce the requirements. More medical specialists and physical therapists are allocated to the mixed battalions. To ensure greater success in training female combat soldiers and to identify potential female combat soldiers at the outset, the army stopped using the same model it uses to identify male combat soldiers, and it now tailors a program especially for women. “In the year before being drafted, most of the women receive guidance and recommendations for training and preparatory courses with our economic assistance,” a senior officer in the Manpower Directorate said. “They can give up the track during this period, and about 10 percent do. Another 10 percent fall after being drafted. 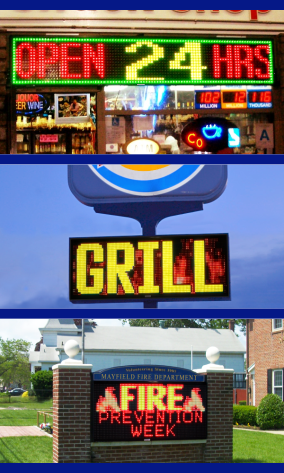 … These are reasonable dropout rates,” she said. 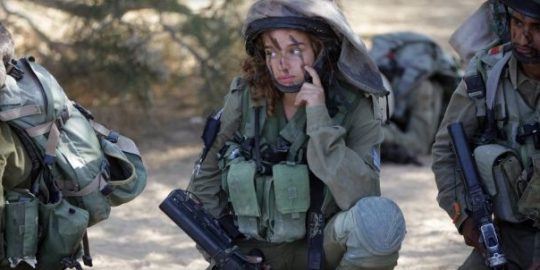 Caracal’s commander, Lt. Col. Elad Cohen, said the level of female officers was very high, adding that the last group of soldiers he sent to officer training consisted of six women and one man. Nevertheless, the question must be asked as to whether this model is a secure one. The Egyptian border, in particular, could turn into a front against the Islamic State, including attempted terror attacks in Israel. The Gilad Shalit kidnapping in 2006 has shown how Israeli society responds in such cases and the psychological warfare the enemy wages. Although women soldiers have been killed in action in Lebanon and the occupied territories, one cannot help wonder whether the response to the abduction of a female soldier would be more extreme, and whether the willingness of the army brass to risk female combat soldiers on dangerous fronts would then wane.